Liberate Gigabytes of Space on Your Mac with a Single Click. 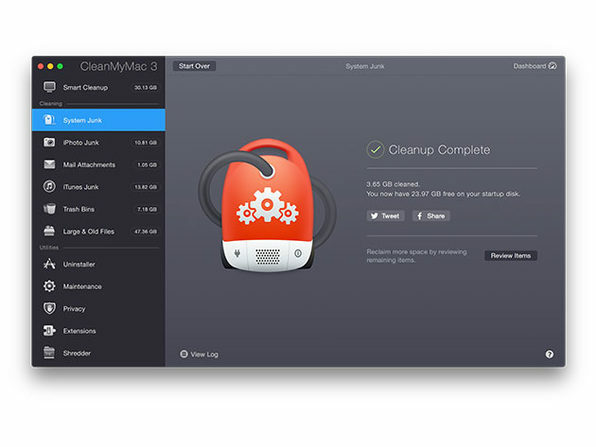 Clean, optimize, and maintain your Mac with the newest release of the leading Mac cleaning software. 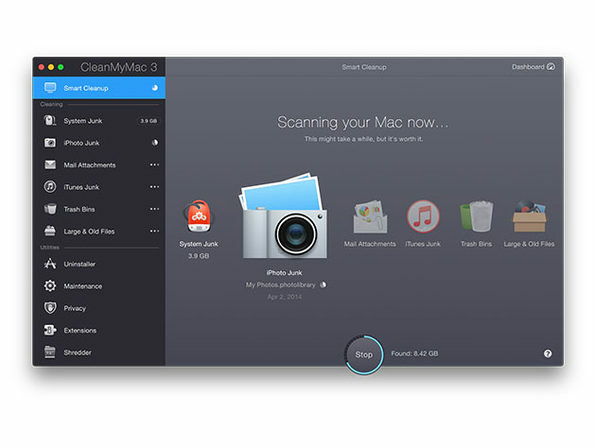 CleanMyMac 3 scans every inch of your system, removing gigabytes of junk in just two clicks, while continuously monitoring the health of your Mac. A clean Mac is a happy Mac, and you deserve to work on a happy Mac. The Next Web: "CleanMyMac targets the useless stuff that piles up on your computer, like old log files, unused language files, iTunes backups, outdated caches and other items to help free space and tidy up broken files." iCreate: "One of our favourite apps keeps getting better. 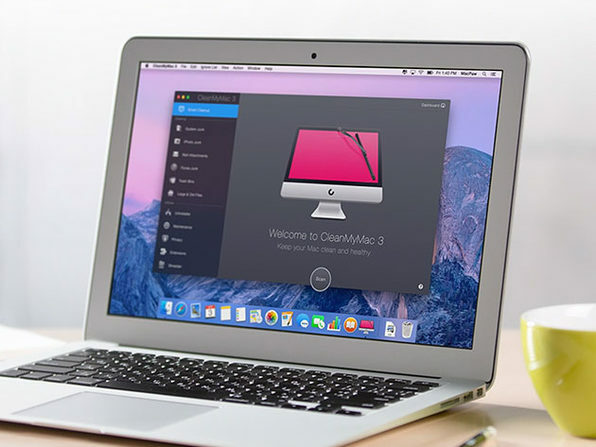 CleanMyMac 3 is the ultimate Mac utility app, packed with new features and a fresh design." What's New in Version 3.9.6?